BTS with Eleanor Mannion, Director of iPhone-made documentary The Collectors. Technical Insight - BTS of iPhone-made Documentary The Collectors with Director Eleanor Mannion. Filmmakers and photographers are constantly looking out for new gear in a never-ending search for what's bigger, better or faster than the gear they already have. Technology for visual creatives relentlessly advances and perhaps the greatest testiment to this is how capable the tech that fits in most of our pockets, the smartphone, has become. This humble device now offers technical functionality and quality that just a few years ago was only possible on top-of-the-range cinema cameras. So have we reached a plateau where broadcast-quality production is now available to everyone? In our interview we explore that theory as we look at what is perhaps a milestone in the advancement of filmmaking. For the first time on national TV in Ireland, the UK and possibly Europe, a broadcaster prepares to air a documentary shot entirely on a smartphone in 4K. The documentary The Collectors is being shown on Irish TV channel RTÉ on July 26th 2016 and we have talked to director Eleanor Mannion who gives us a behind-the-scenes look at how she made this ground-breaking programme using an iPhone6SPlus. Can you tell us what The Collectors documentary is about? The Collectors takes a quirky look at interesting collections, the people behind them and why they collect what they do. It follows six people from different parts of Ireland - collections include Coca-Cola memorabilia, Lego, DinKy cars, porcelain dolls, comics and Barbies. With each collector the documentary explores how their collection forms part of the collector’s identity. We explore how people become attached to a particular item or object - Is it a bridge to a memory, a beloved one, a time or place? What came first, the idea for the documentary or to shoot something on a phone? I have been shooting short-form material for RTÉ for years – as a mobile journalist in the RTÉ Newsroom I have had several news features shot and edited on iPhone broadcast on our national television news bulletins. With this project the idea came first. RTÉ have a development team as part of their Documentary Unit and last summer I was lucky to be a part of a two-week brainstorming session with the team. I came up with the idea of exploring why people form attachments to things and filmed a sizzle reel as part of my pitch to the RTÉ’s Commissioning Editors. Because I am an experienced mobile journalist I filmed the sizzle reel on my iPhone in HD. The Commissioning Editors were impressed with the quality that can be achieved using a smartphone. Around the same time the iPhone enabled 4K shooting so Seán Mac Giolla Phádraig, Head of the RTÉ Factual Unit, got the idea to film the documentary on an iPhone in 4K. Did RTÉ have any reservations about using an phone to shoot the doc? Of course we had to do tests and see how it would look and also research what workflows we needed to make it happen. Once we did that and engineered a proper workflow RTÉ was supportive and excited to be telling a story in an innovative way. With storytelling it is always good to experiment and test out the various technologies available to you. I worked on the project with Executive Producer Jean Devlin and Editor Emmet McCarthy – as with any project people matter and I was very lucky to be working with such a great team. Why a phone and the iPhone in particular? RTÉ through its Innovation Lead Glen Mulcahy started to use Mobile Journalism about 5 years ago and at that time a decision was made to standardise on the iPhone device. They tested a list of apps and as I said earlier I was trained up as a mobile journalist using the iPhone. When it came to me filming this documentary it was just a case that I was not as familiar with android as I was with iPhone. I am happy and comfortable with the iPhone and also with my ability so it made sense to stick with what you know so I could successfully test it further and push the boundaries on what I had done previously. Was there any test shooting for ‘proof of concept’ to confirm it could be done? I suppose the initial sizzle reel that I produced as part of the pitch to RTÉ’s Commissioning Editors for this documentary was ‘proof of concept’ and as I said earlier seeing what could be achieved on an iPhone is what impressed the Head of RTÉ’s Factual Unit. The sizzle reel was produced in HD so when it came to the documentary proper we really wanted to use the technology to its maximum so we tested filming in 4K. We were really happy with the results so it was an exciting moment deciding to go ahead with it. Also we were inspired by such productions as Seán Baker’s Tangerine and The Painter of Jalouzi. I pitched the idea in August of last year and was commissioned by Seán Mac Giolla Phádraig of the Factual Unit a few weeks later. The project didn’t kick off in earnest until late January 2016 when I started research and technical tests. Initially I went out and recorded research interviews with 10 different collectors. The documentary’s Executive Producer Jean Devlin and I were then able to watch these back and decide which were our strongest characters. We whittled it down to 6 people and filming began in March and we were shooting right through to July with about 35 shoot days in total. For this documentary we really wanted to have a mix of people from different parts of Ireland so there was a lot of travelling! The stories took us to Sligo, Cork, Cavan, Meath, Kildare and Dublin and because of the ob doc nature of the project we revisited our characters many times to film their lives and any special moments along their journey. A massive positive of filming on the iPhone is that it’s light and easily transportable so when our characters travelled abroad I was able to go with them. I filmed scenes in London, New York and Paredes de Coura in Portugal. Filming finished up in July with a slight overlap between filming and editing. The documentary is broadcasting on Tuesday 26th July 2016 and is in DUB as we speak so just under a year between initial concept and completed documentary. What were the challenges and advantages of using a phone? The kit was very compact so we were able to travel readily to various locations. The gimbal meant it was really easy to do smooth handheld shots and because it was so light I could do these handheld shots for long periods of time. Again the kit is small and together the gimbal and iPhone are not intimidating so it worked really well with our contributors. It made it informal and there was greater intimacy between our contributors and me and therefore between the contributors and the audience. Everyone is used to being filmed on smartphone now or having their picture taken with smartphones so our contributors were much more relaxed and we were able capture beautiful moments of their lives. Also again because the kit is small on a purely logistic level I was able to film in confined spaces – like people’s attics or tiny workshops! Again the subject matter of our contributor’s wonderful colourful quirky collections lent itself very well to be filmed by iPhone – I was able to capture striking close ups which really added to the visual style of the documentary. The challenges, I suppose – filming a documentary entirely on iPhone in 4K has never been done in RTÉ before – so there was a challenge to engineer new workflows and new ways of doing things. Other challenges were battery power and space for 4K file sizes but all of these were easily fixed and accommodated and so the advantage of being able to tell this story and tell it well won out over any challenges we might have encountered. 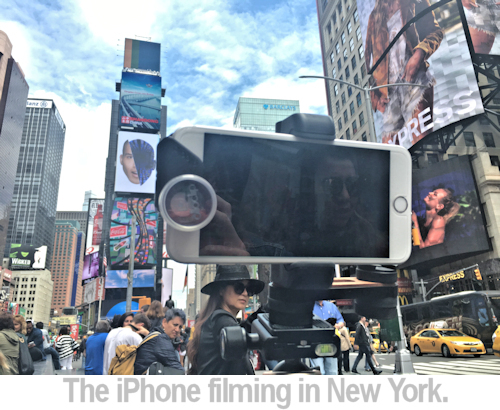 How did the iPhone compare to traditional filmmaking equipment? Apart from the obvious one difference is the lens and the fact that with iPhone you have to zoom with your feet! The gimbal made this extremely easy. Light is crucial for shooting on an iPhone so filming at the time of year we did worked in our favour. What additional challenges did filming in 4K present? The quality of 4K is four times HD so file sizes were huge! A good intensive filming period of 2 ½ hours filled my 128GBs iPhone so I always had to be mindful of that. But again getting back to the story and the type of contributors, we never wanted to film for much more than that at a time. With this style of storytelling, especially where people have kindly let you into their lives, you don’t want to overstay your welcome. Your contributors need to feel relaxed in your company so you can’t be filming them all the time – they need to have downtime. To deal with the size of our 4K files we set up a system of mirrored drives for storage. Also RTÉ can’t facilitate 4K so again new workflows had to be found – we transcoded down to HD for import to the system. All these things take time but once that time was factored it was straightforward. 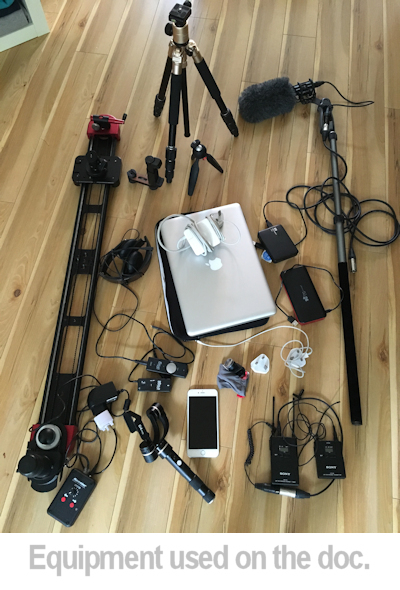 What changes did you have to make to your filmmaking workflow to accommodate the iPhone and 4K? Apart from the things we just discussed, the filmmaking workflow is the same no matter the camera you use though in terms of planning your scene and what shots you need – making sure you get your establishing shots, your cutaways, your close ups. Was there a different reaction to a phone as camera from the people you were filming compared to traditional filmmaking equipment? The iPhone is small and compact compared to a traditional camera and so it was less intimidating. I found with our particular contributors they were more relaxed because of this and as I followed them about their day-to-day business it really facilitated a great sense of intimacy between the camera and the person I was filming. What additional pieces of kit were essential to make a broadcast-quality production? With iPhone filming a tripod is key for steady beautiful shots but apart from the tripod the gimbal was absolutely an essential piece of kit. It allowed for smooth handheld shots as I followed the contributors. It is light so I was able to do handheld shots without tiring for great periods of time. I was able to react quickly and move much more quickly on my feet. I remember running across the grounds of the Sligo Vintage Fair day to get a shot of these really cool vintage cars which I was delighted made it into the final edit. I was able to explore Times Square in New York getting great ground views. I used both an iRig Pro and an iRig Pre to use radio mic and rifle mics for sound. Getting the sound right is key to any production. Finally I didn’t use the native camera on the iPhone I used an app called Filmic Pro. This allowed me to fix exposure and focus separately, monitor my sound levels among other things. So the additional piece of kit essentials for broadcast quality production – tripod, gimbal, microphone, and Filmic Pro app. Overall, how did the technology perform? As with any shoot there were ups and downs but overall the technology performed really well. I was pleasantly surprised by the battery life of the iPhone 6s+ because that was one of my biggest concerns going into it. Of course I had a power bank with me at all times. There were radio mic frequency issues in New York, which I had to work around. There was the odd corrupted file but overall I was pleasantly impressed with the technology. I had anticipated more problems and can’t believe really it went as smoothly as it did. Did you get any technical feedback from the broadcaster about the finished documentary? RTÉ have been really supportive throughout this whole process and were impressed by the finished result. I suppose the best piece of feedback I’ve gotten is “I can believe that was shot on an iPhone!” It’s been very satisfying to hear that. Was this a unique production or do you see phones becoming a common tool for filmmakers? You would have to assess the story. The story at the end of the day is what matters. If the story suits being done on an iPhone than absolutely why not? Not every story is appropriate for iPhone but at the same time some stories might be better achieved or served through iPhone. It’s good to experiment and push the boundaries. All images are © Eleanor Mannion and are used with permission. Bill Bennett works as a Cinematographer with major clients like Apple and Audi. We talk to Bill about his career. 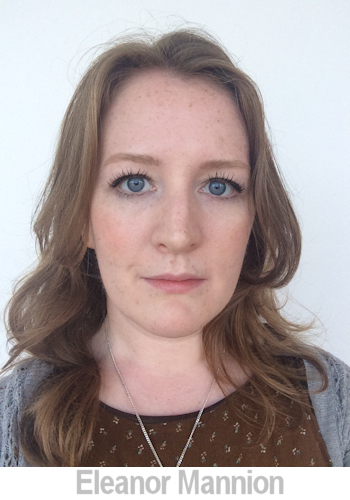 Gail has worked on major documentary and drama productions both above and below the water. She tells us about her career. Surfing photographer Ryan Cardone tells us about his stock photography and how he uses his iPhone to shoot stock for the Stockimo collection at Alamy.